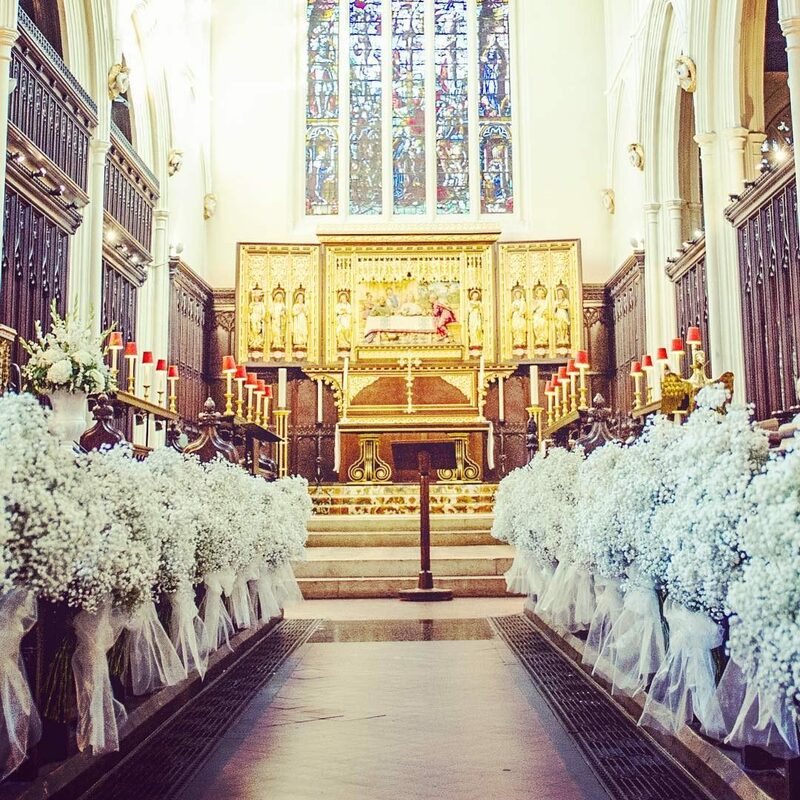 The Jane Maples dream team took their passion and creativity to the pews of St Margaret’s Westminster to create a beautiful, snowy winter wedding for the bride to be. The ends were filled with big luxury bouquets of gypsophilia tied in bows of white organza. Each girl of the girl squad had a task in the hall and turned it into a perfect wedding that any girl could dream of! What a choice of places to get married!